New Delhi: Even as the power ministry lowered its coal demand to 17,500MW from 68,000MW for the so-called independent power producers (IPPs), the Union ministry of coal has only agreed to give coal linkages to power projects having a capacity of around 150MW. This is because India simply doesn’t have sufficient coal reserves to meet galloping demand for power. “We have had two meetings with the coal ministry. We have been told coal linkages can only be provided to projects with a total capacity of 7,500MW. Of this, around 2% is for IPPs. This is after we had brought down our demand to 35,000MW, 50% of which is (for) IPPs, from our earlier request for 1.25 lakh MW (including 68,000MW for IPPs). Let us see what will happen," said a senior power ministry official, who did not wish to be named. Currently, IPPs in the country have a power generation capacity of around 20,000MW based on fuel sources such as coal, gas and water. Electricity projects capable of generating a combined 68,000MW, almost half the country’s installed capacity, have been put at risk because of the government’s failure to assure coal supplies to them, as reported by Mint on 9 September. “There are difficulties. 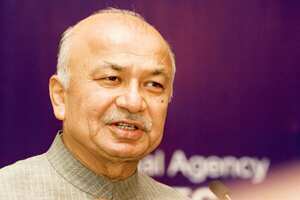 Though (the) coal ministry has limited coal, I had sent them a list of projects for coal supplies for around 1.25 lakh MW," said Sushil Kumar Shinde, Union power minister. To generate 1MW of power, around 5,000 tonnes of coal per annum is required. India has 256 billion tonnes of coal reserves, of which around 455 million tonnes per annum (mtpa) is mined. The country currently imports around 40mt of coal. Domestic coal demand is expected to touch around 2 billion tonnes a year by 2031-32, about five times the current rate of extraction, with the maximum demand coming from the power sector. Minister of state for coal Santosh Bagrodia recently admitted that the government would not be able to meet the projected demand for about 730mt of coal by 2012, unless 100mt of the fuel is imported. Coal shortage is a major cause of worry because it may lower power generation and, thereby, growth in the domestic economy, which grew by 9.6% last fiscal year and is expected to expand by around 8% this fiscal. The present crisis has reached such a magnitude that Prime Minister Manmohan Singh’s office has intervened to break the logjam. Though coal ministry officials agree that production will not be able to meet demand, IPPs stand to lose as the bankers will not approve loans for the projects in the absence of assured coal supplies, delaying the financial closure that is needed for the developers to order equipment and begin work on the projects. This, in a situation where raising credit is already becoming difficult due to the worldwide financial crisis. Most of the IPPs that are unable to secure coal supplies are located in Chhattisgarh, Orissa, Andhra Pradesh and Madhya Pradesh, and they had applied in the past year for the so-called coal linkages that would give them an assured supply of the fuel. “While the coal ministry has expressed their inability, it is not that the country does not have coal. The shortage is purely because of mining inefficiency," said a Hyderabad-based IPP developer, who didn’t want to be named because he is still awaiting part of the coal linkages he had been promised. So far, the developer claims he has incurred a cost of Rs100 crore, which will be forfeited if the company is not able to achieve financial closure. “Mounting coal shortage and inability to meet the demand from domestic sources indicates inevitability of coal imports, which may not be as expensive now, as it was a couple of months ago. Falling prices of coal as well as transportation costs may mean import bills can be lower. This trend may help bridge the demand and supply gap for coal through supply contracts and even spot purchases," said Dipesh Dipu, principal consultant (mining) with audit and consulting firm PricewaterhouseCoopers.